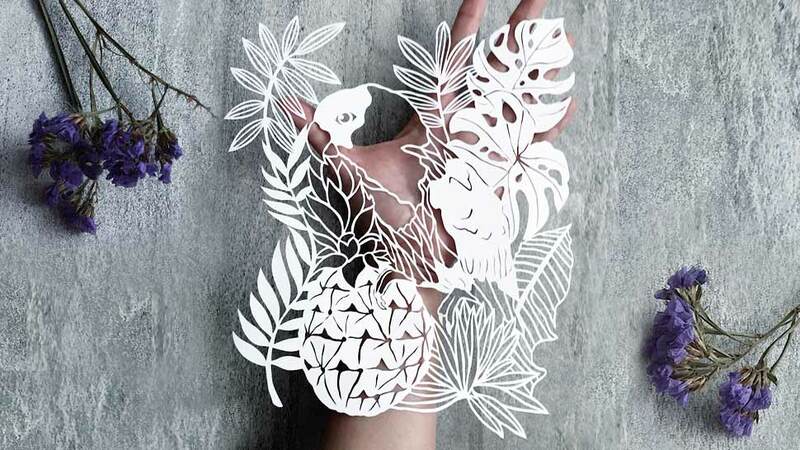 Papercutting is the delicate art of cutting paper into intricate designs. 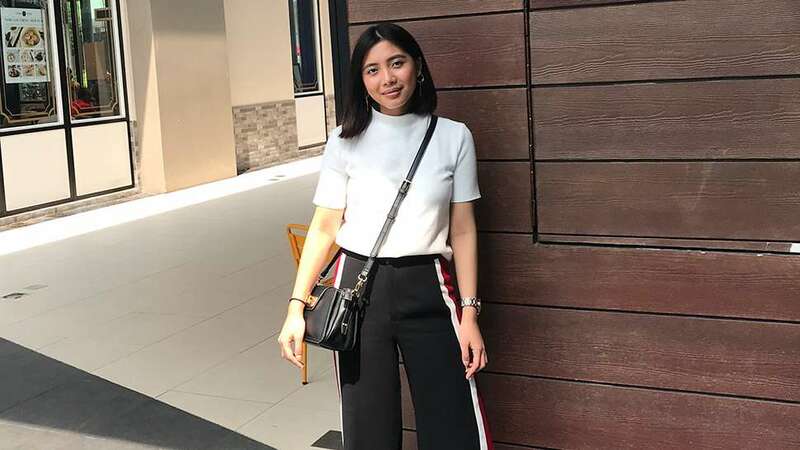 One Filipina who has turned her craft into a business is Chicago-based illustrator and artist Yang Pulongbarit-Cuevo. 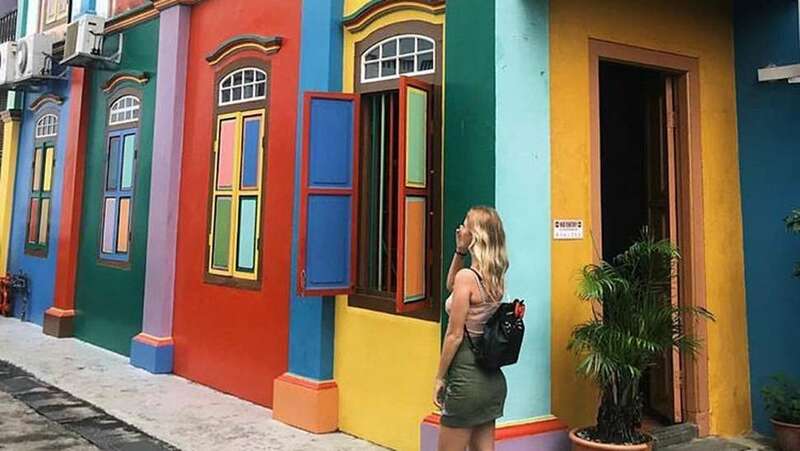 Read on to find out how she got started and what inspires her creative work. 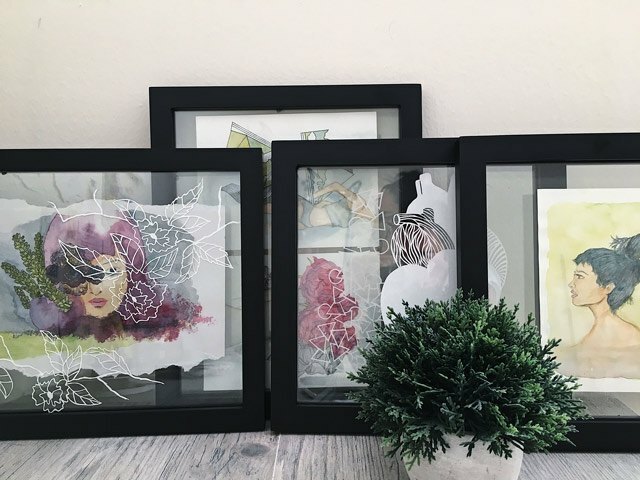 How did you get started in papercutting? What was the very first piece you designed? 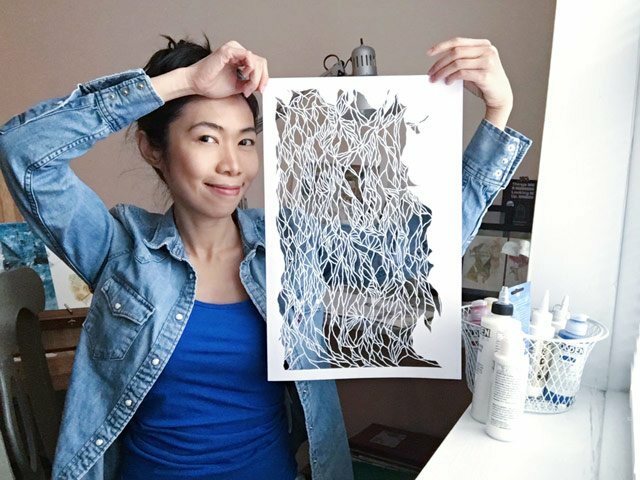 How long have you been creating papercut art? 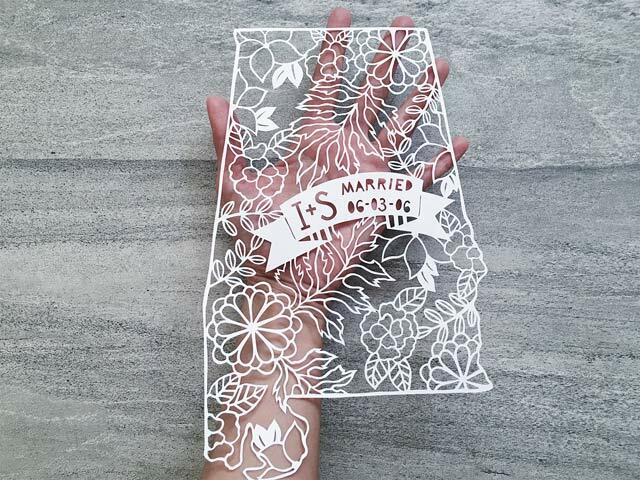 What do your clients usually request for when having papercut art customized? “My best-selling custom piece is my celebration map. 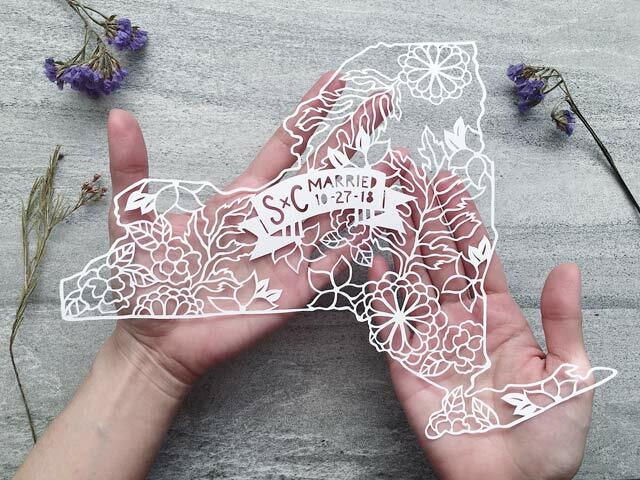 I hand-draw and hand-cut an intricately-designed state silhouette and personalize it with details of the event or milestone that took place in that state. 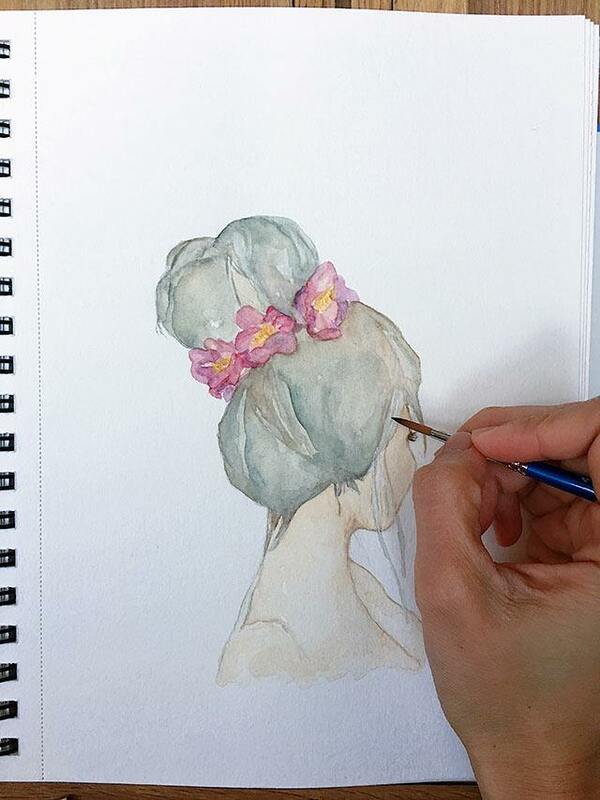 How long does it take for you to work on a piece? Where do you usually create them? 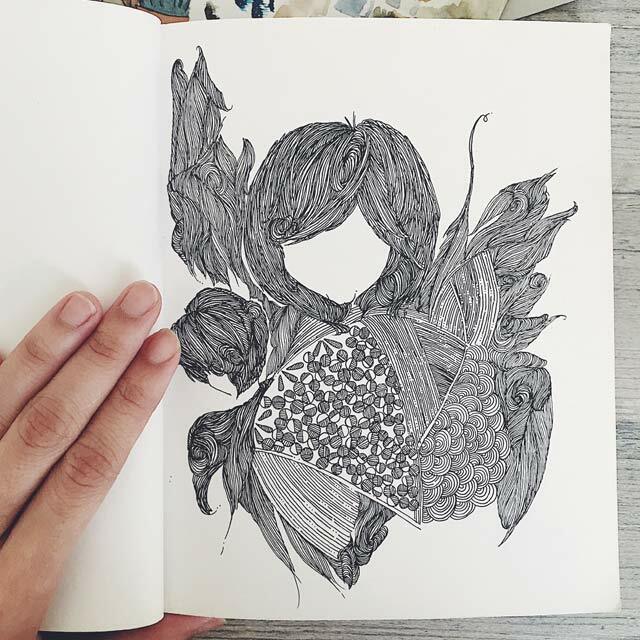 “The time I take to complete a project depends on the size and details of a design. 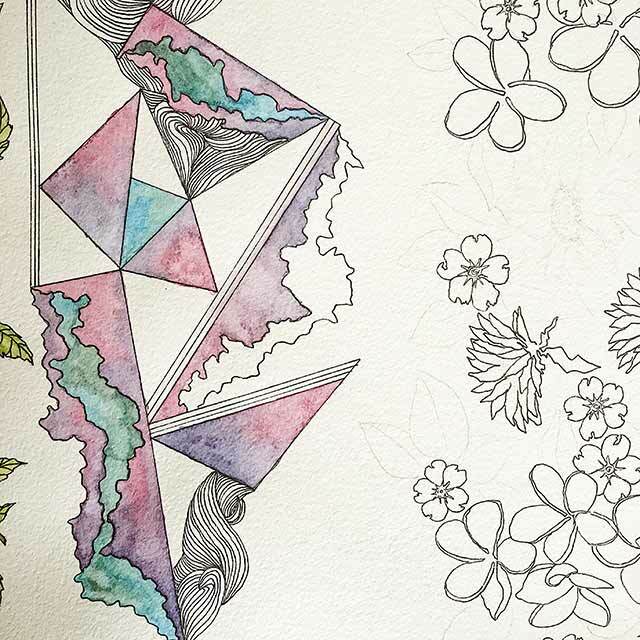 A smaller piece may take longer than a bigger one depending on the details. So the range is big; say anywhere from two to 12 hours. 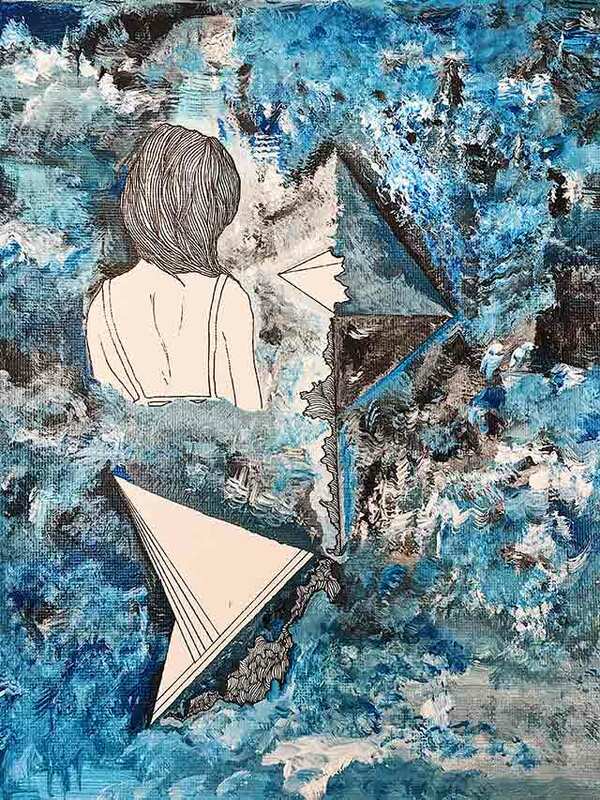 But art pieces that I’m currently making to build my first collection and potentially exhibit in galleries is a totally different story. They are taking me days! 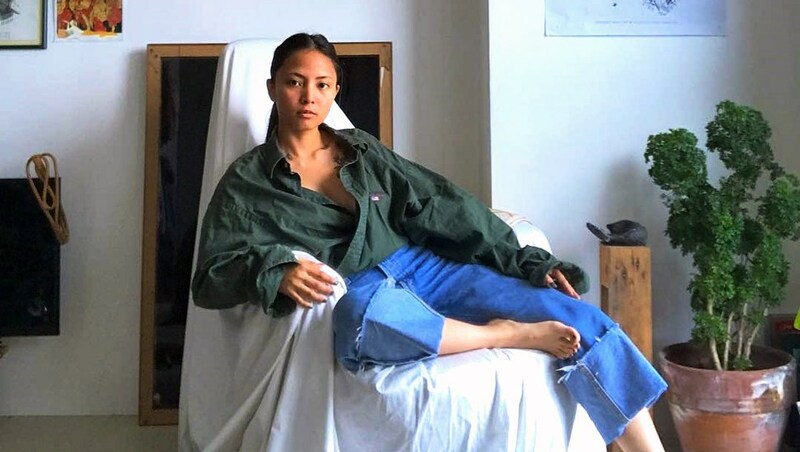 For your personal work, what inspires your art? “The initial inspiration was probably the fact that the shop was opened in the middle of the woods. I set it up and activated it while spending the weekend in a summer house in Wisconsin—and we got Wi-Fi, yay! 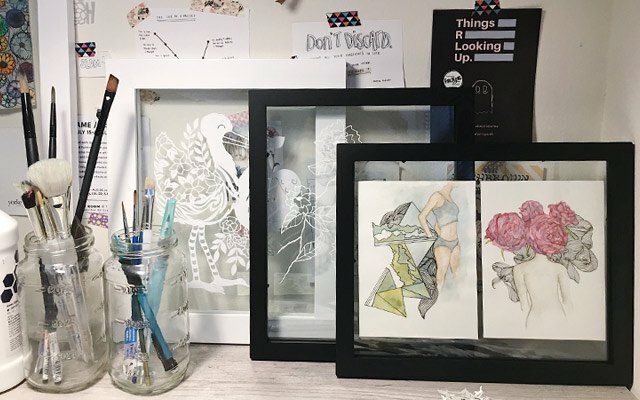 Aside from papercutting, what other art do you create? 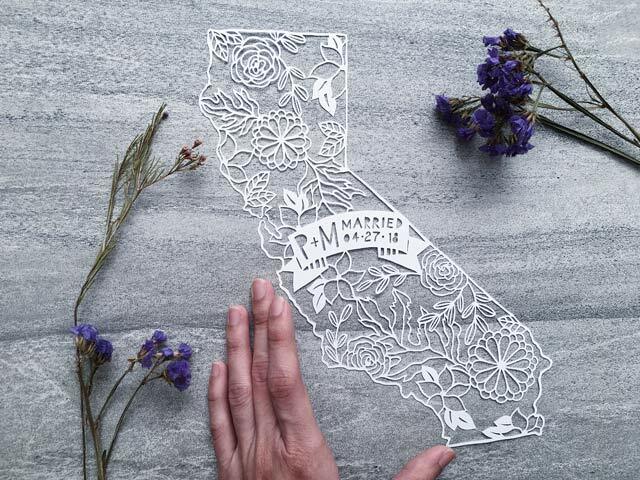 What are your tips for people who are first-time papercutters? 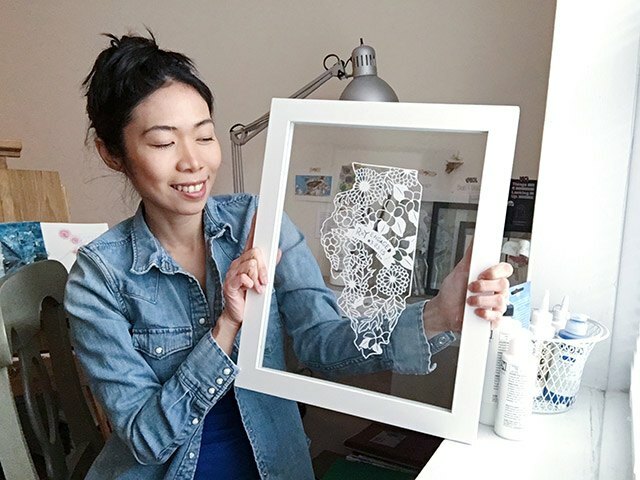 What are your dream papercutting projects? 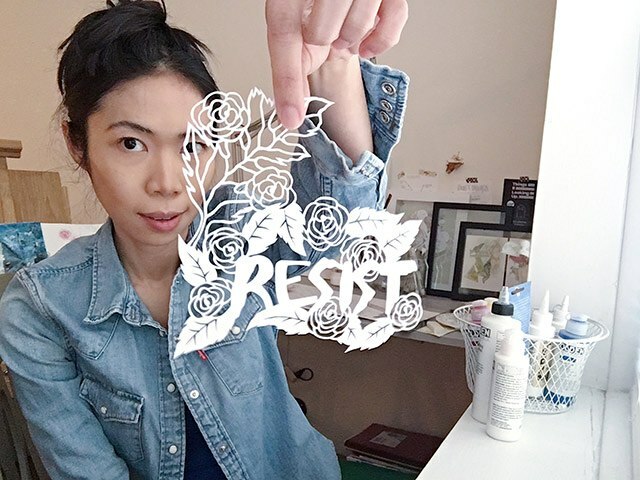 What’s the best thing about being a papercutting artist? 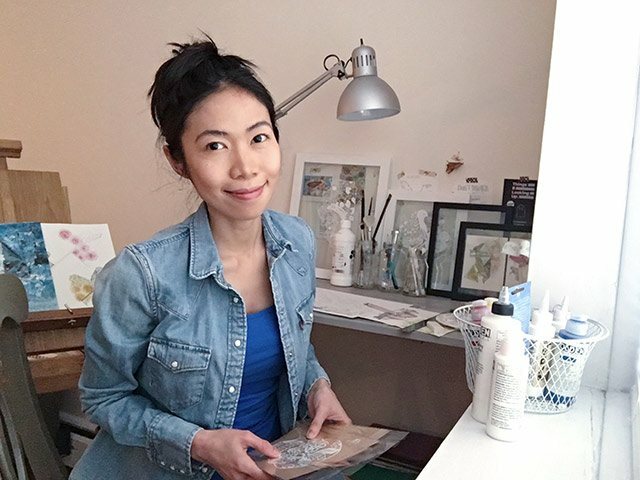 You can follow Yang’s work at yangcuevo.com, @yangcuevo, and shop her art at paperhuggerstudio.etsy.com.